Since I receive a fair share of 'Mothman' or flying humanoid eyewitness reports, I'm occasionally asked to give my opinion as to what this phenomenon is. For most witnesses, 'Mothman' is a handy moniker for anything with substantial size, some human-like features and possesses the ability to fly or glide. I believe that it is most likely a non-specific bio-entity with the ability to move between worlds. In other words, I haven't the faintest idea...even though I had a brief encounter with something similar in description. The fact that this being leaves no tangible evidence makes it very similar to many other entities that are considered cryptids. 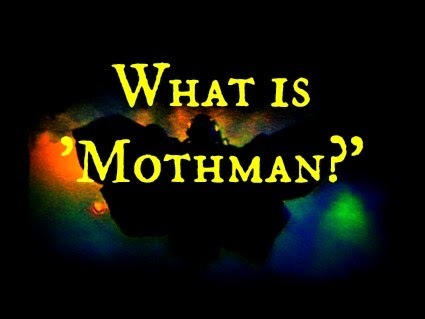 So what are the possible explanations for the existence of Mothman or similar flying humanoids? Unknown flying beings have been a part of legends for many thousands of years. But the actual modern 'Mothman phenomenon' started with the initial accounts in November of 1966...specifically the encounter involving the two couples Roger and Linda Scarberry, and Steve and Mary Mallette in the area of Point Pleasant, WV. Oddly enough, these witnesses, and a few others that followed, didn't necessarily mention that this being had 'wings.' In fact, the descriptions seemed to suggest that this being somehow propelled itself with an unknown supernatural force. Even ufologist & author John Keel originally thought that this entity may have been a type of Bigfoot-like hominid that possessed luminous red eyes. The being was supposedly seen flying about, prior to the Silver Bridge collapse...thus giving it wings and a reputation as a harbinger of disaster. I propose that this entity's design is the result of a combination of different factors...some, of which, may include a bit of exaggeration. I got a chance to talk to original Mothman witness Linda Scareberry before she passed away. She believed it was a one off mutant creature. She also stated the Government went into the TNT area outside Point Pleasant and captured the Mothman in late 1967.